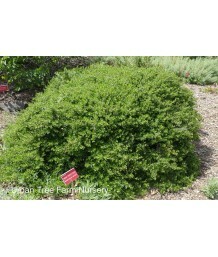 Coyote BushEvergreen shrub. Moderate growth rate. Dense spreading mound. 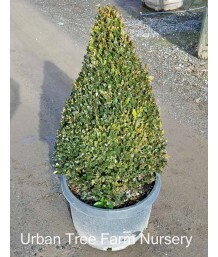 Small, toothed, dark green ..
Christmas BushEvergreen shrub. Spreading habit used as a groundcover. Native to South America. Small..
Coyote BushEvergreen shrub. Upright habit. California native. Valued for its ability to flourish in .. 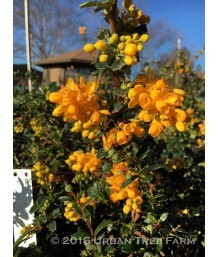 Dwarf Coyote BrushEvergreen shrub. Low spreading habit. California native. A male selection that doe.. 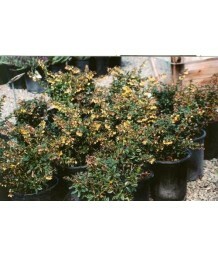 Dwarf Coyote BrushEvergreen shrub. Moderate growth rate. Dense spreading mound. Small, toothed, dark..
Darwin BarberryEvergreen shrub. Small shiny deep green prickly leaves are held close to the erect ar..
Evergreen BarberryEvergreen shrub. 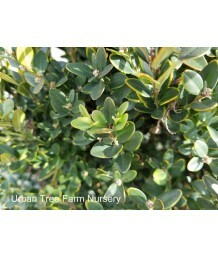 Graceful arching branches with small dark green leaves that take ..
Evergreen BarberryEvergreen shrub in mild climates. Upright, rounded habit. Elliptic-ovate dark gree..
Red Leaf BarberryDeciduous shrub. Compact, somewhat slow-growing, multi-stemmed habit. Stems have sh..
Rosemary BarberryEvergreen shrub. Slow growing. Nearly horizontal branch structure. Narrow, deep gre..
False AgaveEvergreen perennial. Green sandpaper-textured succulent leaves grow into an attractive ar..
River BirchDeciduous tree. Multiple trunks. Fast vigorous growth. 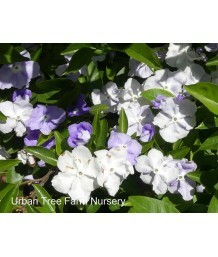 Can be single stemmed or multi tru..
Angel's TrumpetEvergreen shrub in very mild climates. NO FROST. Large green leaves. Beautiful large ..
Angel's TrumpetEvergreen shrub in very mild climates. Huge, felt-like leaves and enormous, trumpet s.. Yesterday, Today, and TomorrowSemi-evergreen shrub. Rich green leaves taper to a point. Profuse bloo.. Dwarf Yesterday, Today, and TomorrowSemi-evergreen shrub. Rich green leaves taper to a point. Profus.. Dwarf Yesterday, Today, and TomorrowSemi-evergreen shrub. Dwarfed habit. Rich green leaves taper to ..
Littleleaf BoxwoodEvergreen shrub. Slow growth, very dense upright form. 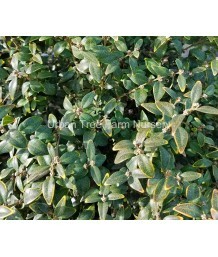 Glossy dark green leaves th..
Korean BoxwoodEvergreen shrub. Slow growth, very dense round form. 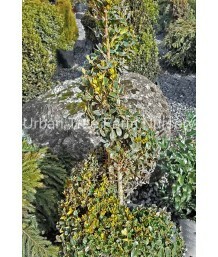 Light yellowish-green to medium g..
Japanese BoxwoodEvergreen shrub. Slow growth, dense round form. Easily shaped. Does best with shade ..
Variegated Japanese BoxwoodEvergreen shrub. Slow growth. 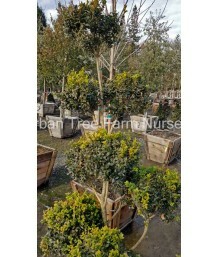 Yellow and cream variegated foliage with hi..
English BoxwoodEvergreen shrub. Slow growing, dense round form. Dark green leaves. 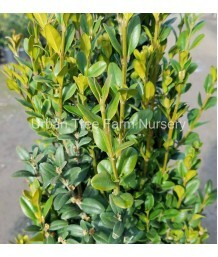 Needs shade in ex..
Common English BoxwoodEvergreen shrub. Slow growing, narrow upright form. Dark green leaves. 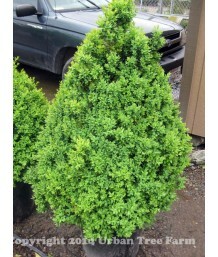 Needs s..
Columnar English BoxwoodEvergreen shrub. 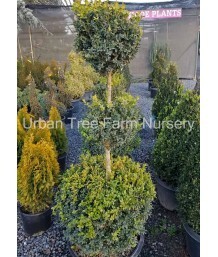 Slow growth, upright columnar form, great for topiary shape..
Variegated English BoxwoodEvergreen shrub. Slow growing, dense round form. 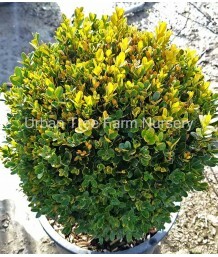 Cream and green variegate..
Variegated English BoxwoodEvergreen shrub. Slow growing, dense round form. 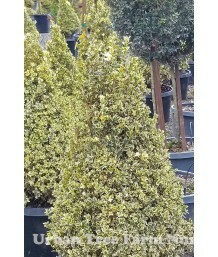 Dark green and cream vari..
English BoxwoodEvergreen shrub. 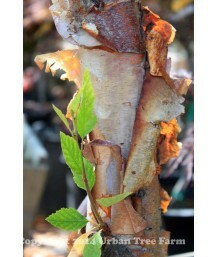 Pruned into a small, single trunk patio tree. Slow growing, dense ro.. 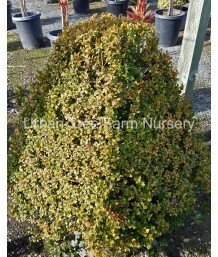 Dwarf English BoxwoodEvergreen shrub. Slow growing dwarf, dense round form. Dark green leaves. 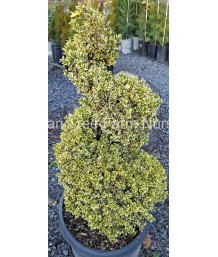 Needs..
Variegated Dwarf English BoxwoodEvergreen shrub. Slow growth. Dwarf habit. Variegated leaves with a ..
BoxwoodEvergreen shrub. Slow growth. 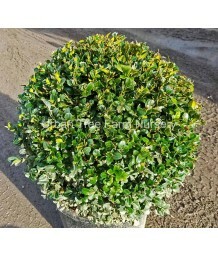 Upright, hybrid boxwood is narrow in form. 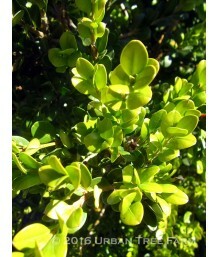 Bright green foliage..
BoxwoodEvergreen shrub. 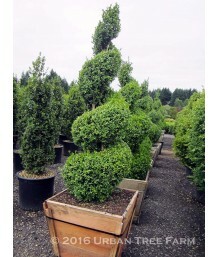 Broad-mounded compact form of Boxwood. Opposite, glossy, dark green leaves a..